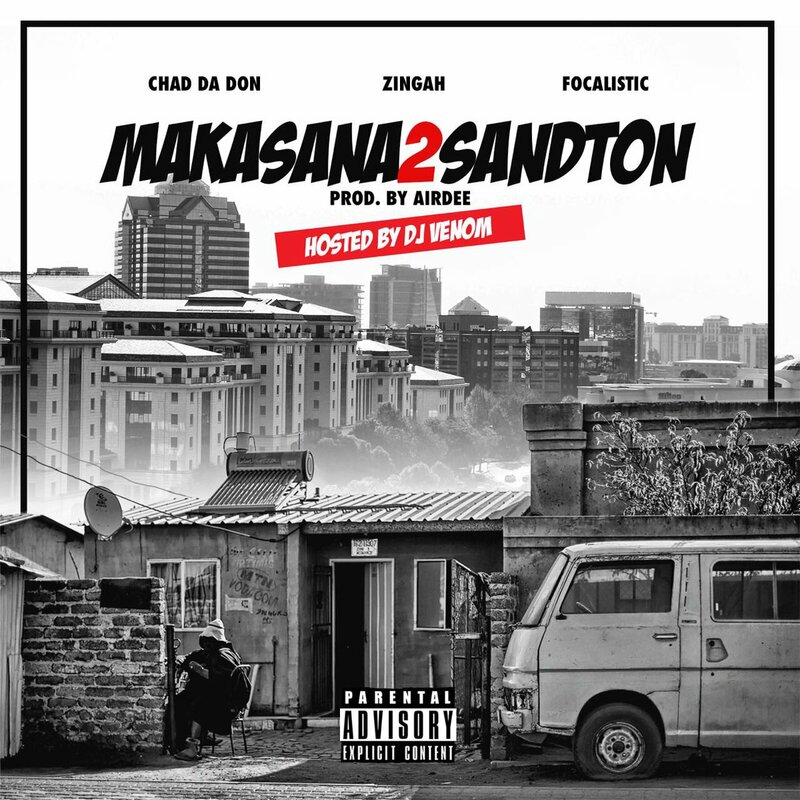 Chad Da Don, Zingah, Focalistic and DJ Venom have finally dropped of their new ‘Makasan2Sandton’ joint. The join was produced by AirDee and finds Chad, Focalistic and Zingah mixing up their deliveries on a mid tempo instrumental that still carries some Kwaito aesthetics if you pay attention. Chad airs off some topics on the joint while Focalistic handles the hook. Zingah doesn’t really drop a verse here but instead adds some background phrases.